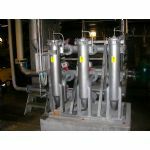 Our products, which are of our own designs, consist of gravity strainers, static screens and pressure filters. Our speciality is mechanical purification of raw water, cooling water and hot and cold process water. Model TM is a backwashing filter that works under pressure. The filter is designed for purification of raw water and hot and cold process water. 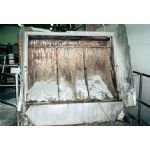 The static screen is used to dewater and separate substances in process water and industrial waste water.